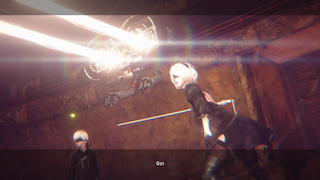 R010 Laser is a Pod Program in Nier: Automata. Fires a powerful laser in the direction that the Pod is facing. 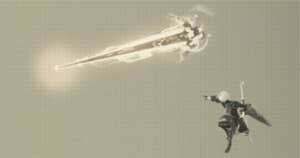 Fires a high damage laser that passes through all enemies. Charging it with more pods increases the number of lasers that are fired. A faint, dashed line projects from the pod to help you aim. 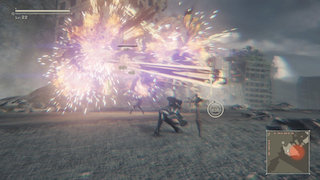 Can hit multiple enemies, if they're grouped closely together. Functions very well as a sniping weapon. 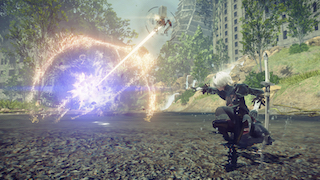 It would appear that this is the pod program that 2B and 9S use in various cutscenes. how to use pod skills in pc?